True story. This past fall I took a product management class, and for my class project I tackled a question I found fascinating: What would a good editing service look like? I did a ton of author interviews and focused on the challenges writers face when looking for a good editor. The editor needs to be reputable. You want someone who understands your work. You want a place you can trust where you wouldn’t get ripped off. And you want a one-stop shop. Very few authors I spoke to knew where to go. Turns out this site already existed!!! 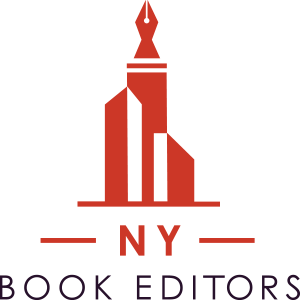 It’s called New York Book Editors, and Natasa and I are now good friends. All of the editors are experienced and most used to work at the “Big 5” publishing house and other top imprints, and they focus on connecting authors with an editor who will be the right developmental editor. They also offer trial edits and calls to help you decide if you really have the right fit. Check it out! Tell ’em I sent you.